Are you looking to start an online business? Well…learning from the best products on Amazon and applying those lessons to niches you’re passionate about gives you a sustainable business. The truth is you can create the life you want and do what you love. Thanks to the internet you’re just one product away from leaving the rat race. If there’s one motto we live by it’s “test, test, and re-test” This criteria is to prevent you from investing way too much, too early. You can’t find the best products to sell online without testing some potentially bad ones! Let’s say you did your research and came up with a hundred different products to sell. Our “job killing” criteria helps you find the five hottest products likely to succeed before you invest a dime on any single one. Now that isn’t to say all the products will check every box down below, but rather a product that doesn’t meet the job-killing criteria is potentially a waste of time. Why Are These Items “Top Selling Amazon Products”? It’s simple, these are some of the most searched products on Amazon. They aren’t big named brands or the only ones, there are literally millions of products on Amazon that generate thousands of dollars per month. When you’re looking for what to sell on online you need to figure out the kind of revenue potential one single keyword has for a private label Amazon business. And a single product can rank for 20, 30 or more keywords. There are millions of best-selling products that normal people have created a brand and business around to eventually quit their jobs! So apply the Job-Killing product criteria to a niche of products you are more passionate about and that’s how you figure out what to sell on Amazon. We want to show what a successful product looks like. But if you’d like to know how to find products to sell for yourself we’re doing a live webinar showing you exactly how! The top item has the Amazon Choice seal and almost 7,500 reviews. As you might expect, they weigh almost nothing, making it a great product to ship. This pet grooming glove takes the throne here. The product description is lacking, specially when comparing to other items in this article, but they say a picture is worth a thousand words, and man, these pictures deliver. A perfect example of what a proper angle can do to a pretty boring product (if I told I sold pet glove-brushes you wouldn’t be too excited either). But it’s impossible not to be at least willing to give it a shot after those pictures. They completely take advantage of all the Amazon image requirements by doing more than the minimum. Honestly, it’s photos that make the difference between sellers. Don’t take images for granted. That’s why we recommend the price range between $20 and $75. The Grillaholics’ BBQ Mat is our example for grill mats. The custom-made product description landing page is really good. It features all good elements you’d expect from great copy, and is loaded with social proof. A great example of a simple product that can be sourced from China with your logo for a different twist. The Mueller Spiralizer by Mueller is one of the best selling items for vegetable spiralizer. It’s a cheap, plastic bundle with the company’s logo on it. Pretty easy to manufacture, but it’s not a product that would have people raving about and coming back to buy more products from that brand. If you wanted to sell a spiralizer that still meets our criteria but don’t want to compete with the best-sellers, you can take another route and provide the same product for a different audience. This spiralizer is plastic but originally they were metal. There’s a whole segment of people who would prefer a more robust version of this same product. Another great product that can be easily sourced and feature your own brand. The listing has nothing special — in fact, if you scroll down to the Q&A section, you will find some interesting ideas you can use to explore different angles. One of the customers asks if these clippers work for larger dogs; you can market a pet nail clipper for larger animals. Another one asks if these are made in America; maybe you could explore the possibility of higher-quality, American-made nail clippers. Passion product (Pet)? Check. Impulse buy ($12.99)? Check. Easy to ship (10 ounces)? Check. Yoga mats are a perfect example of why you don’t need to check every single box of our recommended guidelines to find a successful product. The first product on Amazon at the time of this writing that has over 8,000 reviews. But its longest dimensions is over our recommended minimum of 18 inches by 33%. They have a custom-made landing page addressing most people’s concern and it looks great. Still, it only weighs 2 pounds, is a passion product and is sold for $16.99 so the seller is probably making a ton of money. The brand name also makes it obvious that their thing is yoga mats. In fact, Ryan Moran from FreedomFastlane.com made upwards of $300,000 month selling yoga mats on Amazon! These meal prep containers by Freshware rank highly for “bento box” and their listing is awesome. They containers in bulk and only weigh a little over 2.5 pounds. Almost the same as that German tank from the previous item. Another great example of proper market research, or at least market awareness. As people become more concerned with climate change, waste and their own health, some old habits are bound to change. If you’re able to spot that, you will be in a good position to position yourself in the market straight to potential buyer’s pockets. That’s what SIPWELL did with their Extra Long Stainless Steel Drinking Straws, a set of straws that are elegant, reusable, BPA-free and have 2,300+ 4.5 star reviews. I don’t own an Yeti’s double insulated tumbler, but I want one. It looks incredible. That’s next level branding — the pictures and the product description are great. With almost 1,300 reviews to back it up, it’s hard to think otherwise. The steel tumbler industry is getting so big even pro NFL players are getting into the mix! That’s New England Patriot player Rob Gronkowski (on the left) with his older brother. They took the typical steel tumbler and converted it to a protein shaker. Another great example of market research, and one that is close to home for me. When I was writing the last item, I started thinking about what products I only ever bought because I had a very specific problem related to a hobby that I had, and this is one of them. This muscle roller stick for athletes by Idson does exactly what you might think: tissue massage for tight muscle knots. It’s the best-selling product in the category with over 2,000 reviews. That isn’t to say you have to be your ideal customer yourself – Victoria’s Secret founder is actually a man – but it’s a shortcut you can take if you already know what your customers are looking for. Compression socks are light and easy to ship. They are also cheap to run quality tests by sending the products to your home. With this listing we want to show you the difference between your target customer. By targeting the compression socks to women the average yearly revenue nearly doubles. Compression socks are also a product people can’t have enough of because socks always wear out. I picked up the second item for this one because the first one has the “Amazon’s Choice” seal. The Amazon seal does not guarantee the product is going to be listed at the top of the organic search, but it boosts it a little. Our pick has four times the amount of reviews and has actually a better product description. Again, we’re seeing a trend here. Copper fit was able to differentiate themselves enough to create their own store and use Hall of Fame NFL Quarterback Bret Favre as their spokesperson. Notice how they didn’t stop at knee sleeves and sell every kind of compression. You are probably getting the gist by now: it matches all of our criteria for a good product. It’s light, easy to manufacture and in the right price range. Who would have thought that silicone wedding rings had enough demand to generate over 5,000 reviews at $12.99. This market has become so big that people are creating entire businesses around this concept. Not just selling on Amazon but their own stores. That’s the power of well-done market research: items that would go unnoticed to most people, but it’s big enough to make good money. This Stainless Steel Garlic Press didn’t even have a brand on the product, just the package. There are probably many sellers selling this exact same item — the only thing differentiating this item from everybody else is the picture, branding and its product description. The first product doesn’t have as many reviews as the last one, but the brand name (CrazyGlove) still make obvious their business is about gloves. Weighing just over half a pound, it’s a very easy product to ship. The silicone BBQ gloves have exploded onto the scene over the past 5 years. They solved such a simple problem that demand skyrocketed. The top sellers on the first page of Amazon have created the best converting Amazon listings because of how competitive this niche has become. If you have any hobbies, chances are you have wished “someone had done that before.” For example, if you are an outdoor type of person and have a family, it might have crossed your mind that letting your kids roast marshmallows can be dangerous if you’re using small sticks and they have to be close to the fire. That’s one of the problems with marshmallow sticks that M Kitchen’s Word is trying to solve with their premium roasting sticks. I mean, this plastic slicer is the top result and even Amazon’s choice, but I found this apple peeler also listed in the results to be much more interesting. Not only one of its colors is more than 3 times more expensive, has double the amount of reviews but think how specific that is. I would only be remotely useful to you whenever you wanted perfectly peeled, round apples (or any other fruit, but cooking is not my forte so I won’t comment on that). Not only that, but it humiliates those cupcakes liners as it has been selling on Amazon since 2008! That probably means that proportionally their revenue numbers are lower than the plastic slicer (that one only came around by 2013), but it goes to show you how some products can sell for decades. The best selling baking mat competes head-to-head with Amazon’s brand, AmazonBasics. Their angle is that their product is non-toxic and FDA-approved, plus they have it in three different sizes. Even though they are competing with a major department store on a “volume item,” they did a good job finding a different angle and creating a brand, with allows them to charge a premium: almost 50% more than the Amazon’s product. The top spatula is one many sold by OXO. They specialize in making spatulas. This was the one at the top with almost 1,700 reviews, but collective they have over 6,500 reviews only for spatulas. Some have as few as 50 reviews, but it’s certainly a niche that they could establish themselves in. This product was probably created in response to the cupcake craze from a few years ago, but is still the best-seller today, half a decade and 2,500 reviews later. It proves that if you can create the proper systems to survive after the initial wave shoots your business up, you can still reap benefits for many years to come. With this tool we can do in-depth keyword research and figure out exactly which ones are the most searched and which ones we should optimize our listings for. With this tool we are able to see daily sales volume and revenue for a given product. So we can see the revenue potential for every Amazon listing in a given keyword search. Those average yearly revenues come from one single keyword. Now, imagine you had related products and expanded with different verticals. There’s literally no limit to the number of keywords you can rank for. Each keyword tells you what to sell on Amazon and is a potential revenue stream. So what do these top selling Amazon products have in common? Simplicity. People assume it would take huge investment, long planning and even patents to start. And if there’s one thing we hope to show you with this article, is that you don’t need to make it harder than it is. Can you position your product better than the competition? How can you use your product pictures better than the competition? And how does a product description influence you when you’re shopping? If you take these questions and apply it to your own products you can outsell anyone in your niche! Find us down in the comment section and we’ll be there answering questions. You wrote a fantastic article. I must admit…I have been flirting with the idea of building an e-commerce business for a few months but have not pulled the trigger. I assumed all the juicy steak in this arena was devoured but your post quickly disavowed me of that notion. 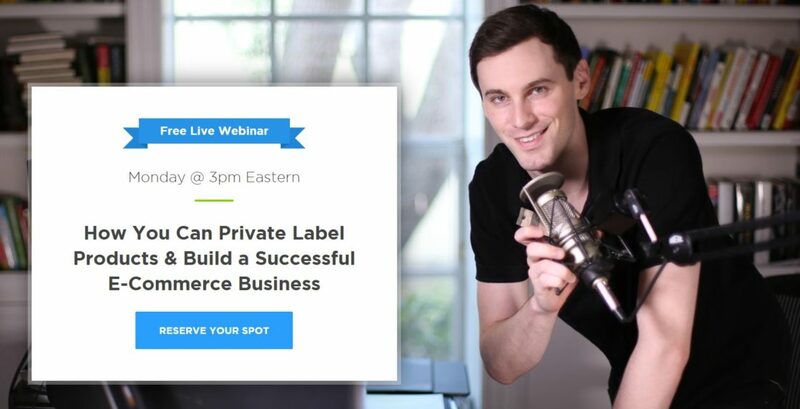 I registered for your upcoming private label webinar and look forward to putting this info to work, very soon. There is so much still left in this area. There is an unlimited amount of products and unlimited amount of keywords. Super cool you’re getting started!